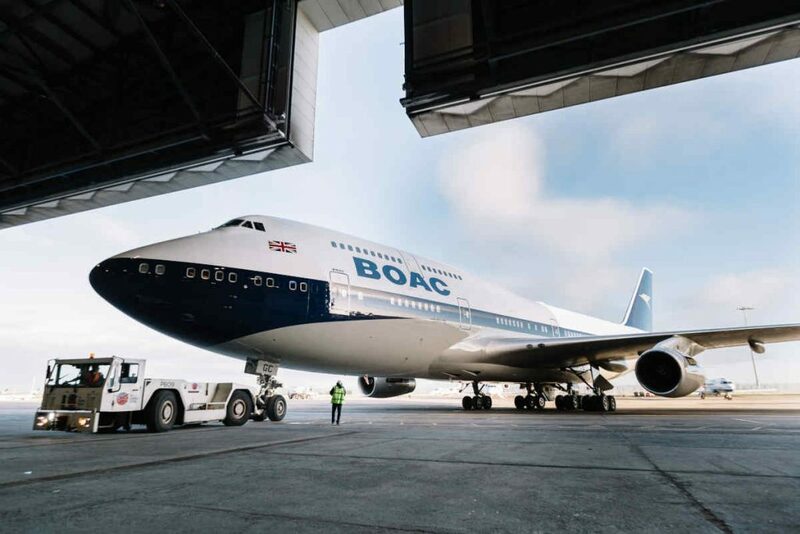 Aviation enthusiasts turned out at Heathrow on February 18 to see the arrival of a British Airways Boeing 747 painted in the design of its predecessor British Overseas Airways Corporation (BOAC). The aircraft will continue to fly British Airways’ 747-operated routes to showcase the design as part of the airline’s centenary celebrations. livery that adorned the BOAC fleet between 1964 and 1974. The BOAC-painted Boeing 747 flew directly to Heathrow from the paint bay at Dublin Airport. On February 19, the aircraft departed for New York JFK operating as flight BA117. British Airways explains this flight is particularly significant as it was the first route the B747 flew in BOAC colours. The BOAC livery will remain on the Boeing 747 until it retires in 2023. By this time, British Airways will have retired the majority of its 747 fleet, replacing them with a range of long-haul aircraft, including 18 A350s and 12 Boeing 787 Dreamliners in the next four years – as well as another 26 short-haul aircraft. British Airways describes these aircraft additions as part of its £6.5 billion ($9.7 billion) investment for customers.